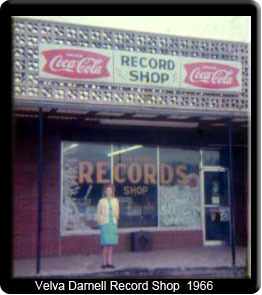 In 1966 I opened my first shop in my hometown of Radcliff, Kentucky where I spent all my life before moving to Florida. Radcliff is a small town located three miles from Fort Knox and has a population of about 5000 people, but when you add all the military personal and their families that are stationed at the army base, which at that time was the home to the 3RD. Armored division, you’re talking about a pretty good size community. My parents moved to Radcliff in the 1930’s when my father was stationed at Fort Knox, and after serving four years in the service he decided to leave the military and go into business for himself. His first venture was a grocery store and service station combination which did so well for him, that by 1950 he added a full service garage and wrecker service to his work load. As the town kept growing, he was adding more building to house a variety of businesses and by 1960 he also owned and operated a gift shop and a wholesale auto parts store. His last adventure, added in 1972, was a large wholesale electrical warehouse that grew to serve the entire county and beyond. Every business he started was very successful and all of them remained open until he decided to retire in the late 1970’s. I met and married my wife, Velva Darnell, while I was attending school at the University of Louisville and after college, marriage, and the birth of our first two children I worked for and with my Dad for a few Years. It was planned that I would take over the family business when my father retired, but my plans changed in 1962 when my wife began a career in music. 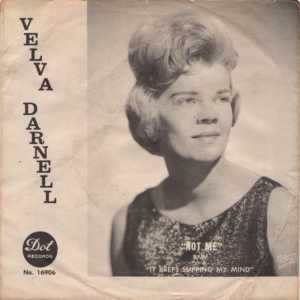 I developed a real interest in the record industry and within six months of the release of her first single for Dot Records, I decided to open my own shop, the “Velva Darnell Record Shop”. This was the 60’s. These were the years of the hippies, the Beatles, the drugs, and a set of new rules of life. There’s not a way I can describe the sixties except to say it seemed as though the American ideas changed and never went back to what they were before. Then came the wonderful 70’s. A decade filled with music, disco, platform shoes for the guys and hot pants for the gals. Music was at its best, rhythm and blues, rock, pop, country, you name it, it was all good and it was selling. It was during the seventies when our youngest child was born, and in the 70’s when our son Eddie joined forces with me and became a part of the business. He started out putting up stock and soon afterwards was selling, repairing and installing any and all forms of sound equipment for the home and for the car. We had it all, anything you needed or wanted that was related to audio or video, including musical instrument’s could be found at Velva Darnell’s, our slogan was “A SHOPPING CENTER OF SOUND” and we lived up to that image. In 1983 we decided we were ready for a change and after discussing it with the family, we all decided to to sell out and move to Florida. In May of that year my wife and myself with our daughter LaJean and daughter Debbie and her family, along with Eddie and his family made the major move. Also let me add here, that before and after moving to Florida, we have been very involved in country music. As I mentioned earlier, my wife is a singer and was signed with Dot Records for a number of years. We traveled, doing a lot of show for a long while and more recently since moving to Florida, we formed a band and worked locally for quite a few years. Our band was Country Profile and featured our son Eddie on lead and steel guitar as well as vocalist, along with my son-in-law, Jerry, who played bass and sang. There’s nothing like loving music and being part of a band who enjoys playing for happy people. You can’t beat it! We’ve met a lot of good people and made a lot of friends over the years. We worked at several different things for a few years after moving here, auctions, etc., but decided in 1986 to open another stereo shop. After all it was what we loved and what we knew. This time we located in Masaryktown, just south of Brooksville. We stayed there for a little more than ten years before moving to our present location here in Brooksville. Since moving to Florida we’ve added a full line computer section to the shop that includes sales, repairs, website designs and hosting etc… The computer department is managed by Eddie and I’m very happy to say that Eddie s son, my grandson, Brandon, decided about two years ago to join us in the business and it’s great to have him working with us. Also my son-in-law of sixteen years, Mike, works alongside me every day, and I tell you, it’s wonderful having my family, all these guys to work with. I feel very lucky because at one time or other, in the past forty two years I’ve had my wife, my children, their spouses and most of grand children working with me. It’s great. Located in historic downtown Brooksville, FL. We are on the opposite corner of the courthouse record storage building and across the street of Dr Heinecke's Office. Right at the corner of Bell Ave and Jefferson (Hwy 50).